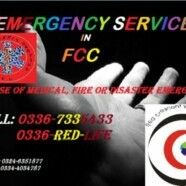 The Red Crescent Youth Group started Emergency Services in FCC to facilitate the many students, faculty and staff members. 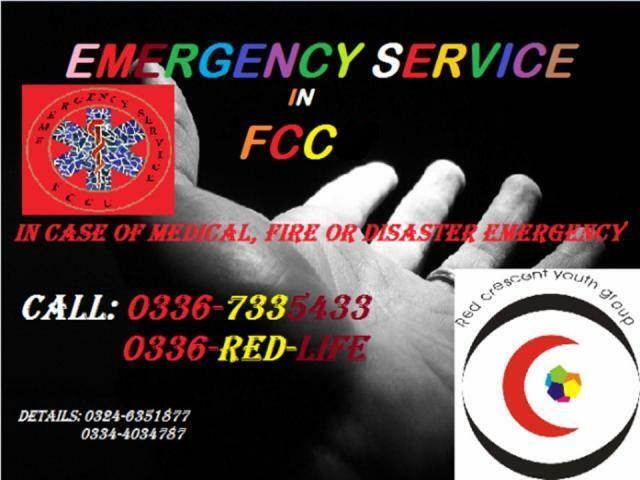 In case of medical, fire or disaster emergency, just call 0336 7335433 and a person from the FCC Emergency Services will reach you instantly. 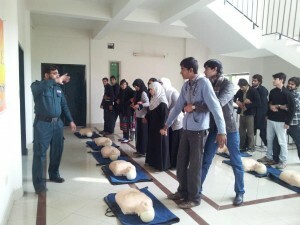 The Emergency Services’ members have been trained by Rescue 1122 to perform two activities that categorize them into two groups. The first, the Medical First Responder are commonly known as MFR and are well trained for medical emergencies. 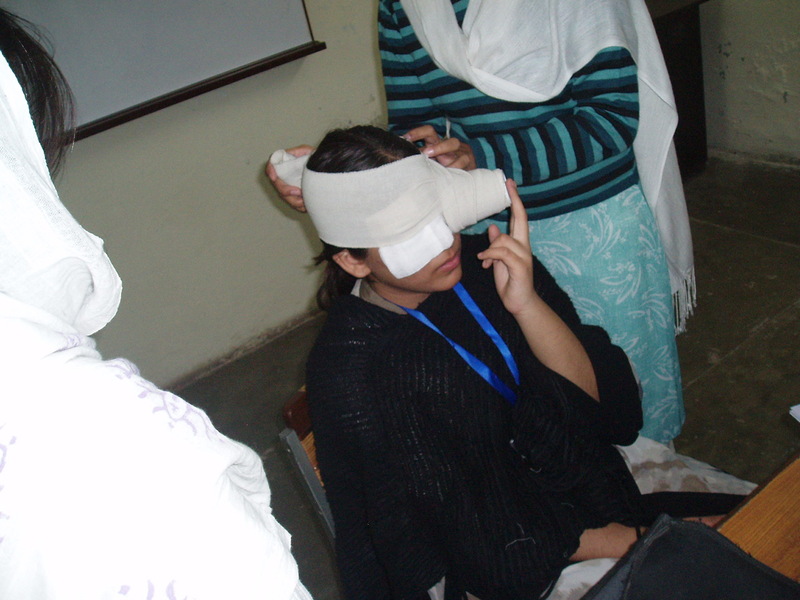 They will also know how to deal with natural disasters and fire emergencies. 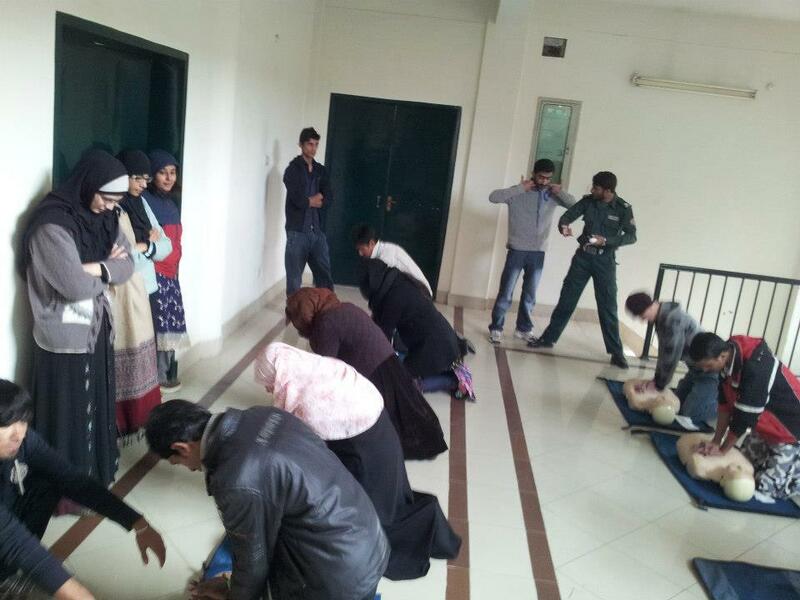 Basic Life Supporters, also known as BLS, are trained for fire emergencies and basic medical emergencies. 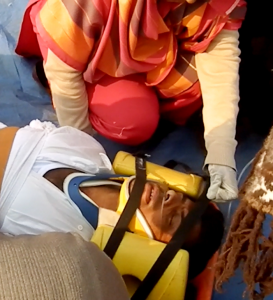 How can you contribute to Emergency Services? The Emergency Services personnel are available from 10:00 am to 2:30 pm, while the service time will be increased in Fall 2013. Emergency Services can also be requested for events. For more details, please contact Humza Bin Masood 0333-4809643, 0324-6351877 or M Samran Shaukat 0300-6591102, 0332-4882874.